Vegetarian Adaptation: Sorry, guys, this one’s all about the meat. About 1-1.5 lb. of live lobster per person (we used two 2.5 lb. lobsters to serve three people). It worked out well since we had to only shell two lobsters rather than three, but just make sure you’ve got a pot big enough to accommodate a monster lobster. Mine was borderline. 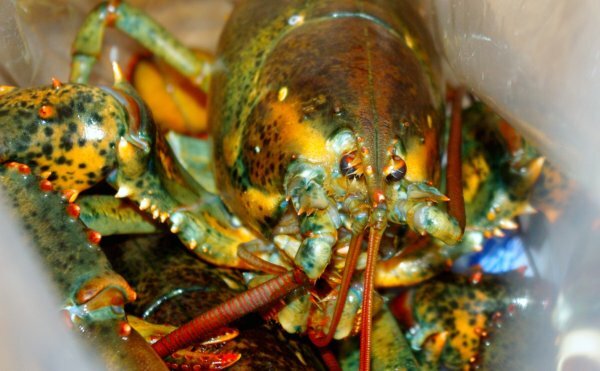 It’s important that the lobster is live when you cook it… you’ll have to man up a bit to cook these guys at home! One of our gorgeous 2.5 lb. live lobsters. Bring a large pot of water to a high boil on your range. Squeeze the juice of 2-3 lemons directly into the water and add sea salt. 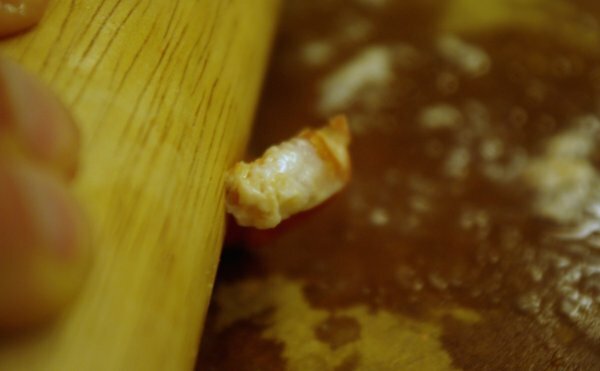 Carefully snip the rubber bands from your lobster’s claws and place it in the pot head/claws down, submerging it fully. I used a silicone oven mitt to grab the lobster… a clean gardening glove would work well, too. Once the lobster is done, carefully remove it from the water with tongs and set aside until it’s cool enough to handle. Unless you’ve got a seriously monster-sized pot, you may need to cook the lobsters one at a time. 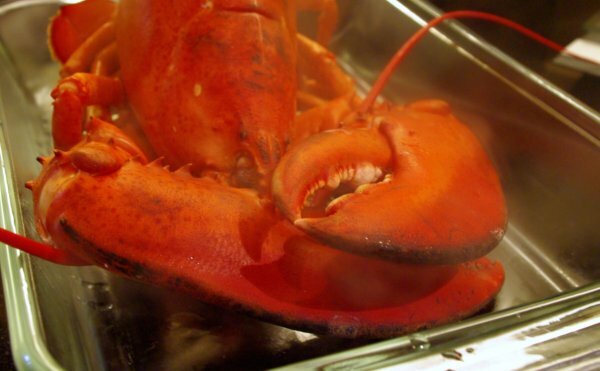 Just be sure to bring your water back up to a boil before adding the next lobster to the pot. Still wondering if your lobster is cooked? 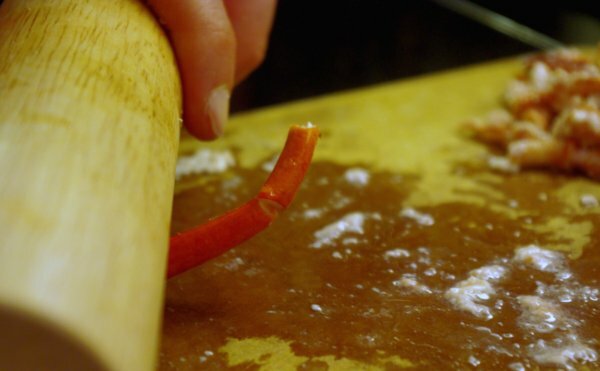 Pull off an antennae – it should come off easily when the lobster is fully cooked. The meat inside the lobster should be white, firm, and opaque. The tomalley (in the body cavity) should be greenish-yellow. Finally, the roe inside female lobsters should be bright orange/red. If it’s a greenish black, your lobster is undercooked. 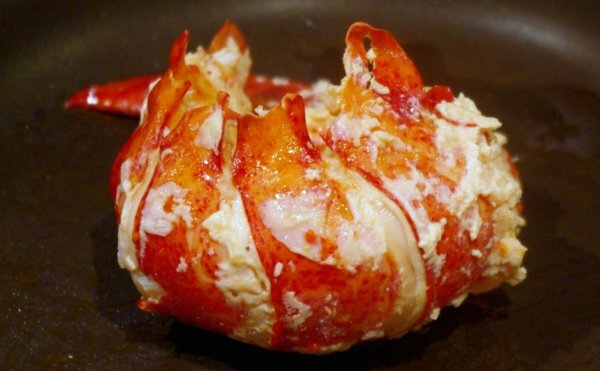 Here is a great tutorial on getting all that yummy meat out of the lobster shell…How to Remove Meat from Lobster from recipetips.com. They do a great job of explaining and demonstrating the process, so I won’t repeat it here. Once you get all that gorgeous meat out of the lobsters, it’s time to finish them off for serving. Add lobster meat and saute for several minutes (~4-6), allowing the meat to soak up the gorgeous fats. When done, transfer to a serving plate and dig in, likely with many mmms! and sighs of utter satisfaction. 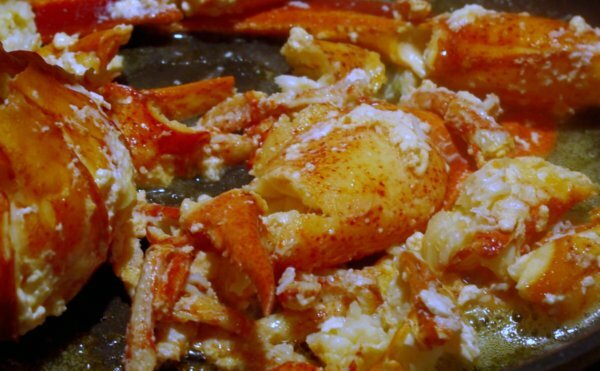 Jenna, a long-time lobster lover who’d only recently stopped eating butter, loved the coconut oil preparation… she said she wasn’t missing anything without the butter! Thanks for the recipe! Going to try this tomorrow night.